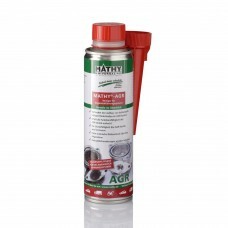 MATHY–D cleans the diesel fuel system, improves operation reliability and economy of diesel engines. 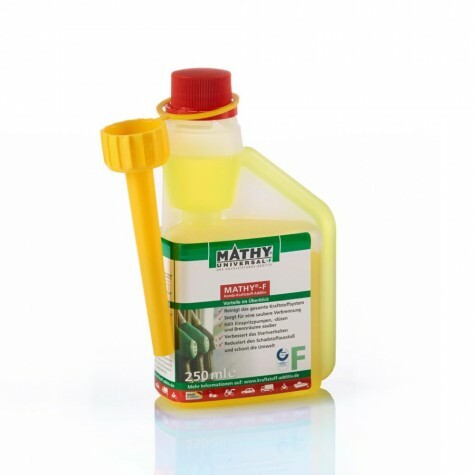 Suitable for all diesel engines (CDI and TDI) and diesel fuels (not biodiesel or vegetable oils! 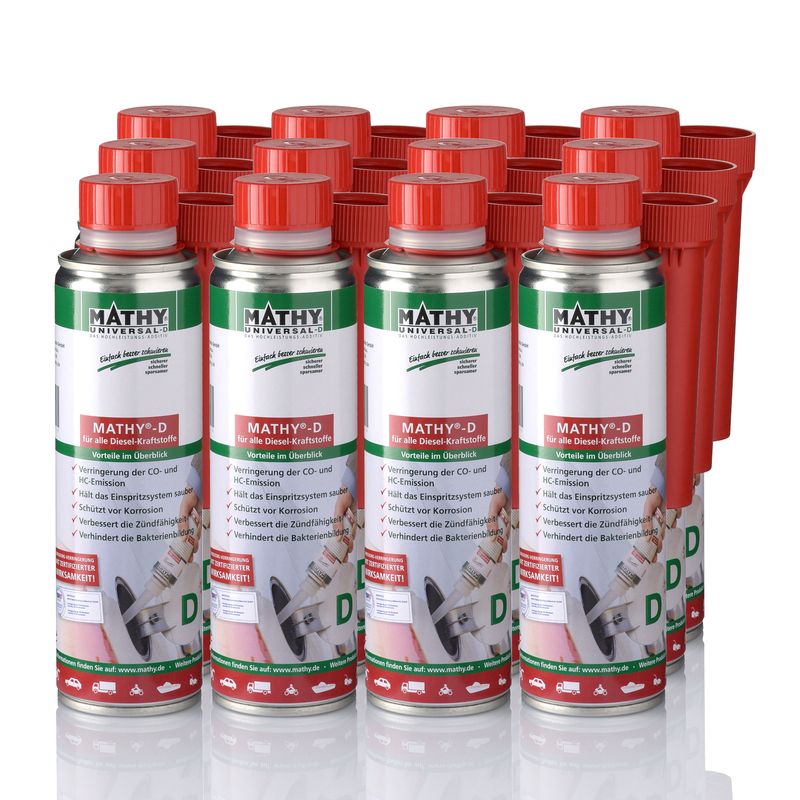 ), summer and winter quality. 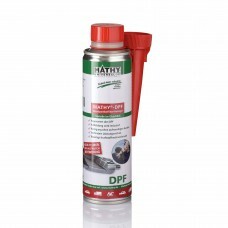 Suitable for all diesel catalytic converters and micro particle filters (DPF). 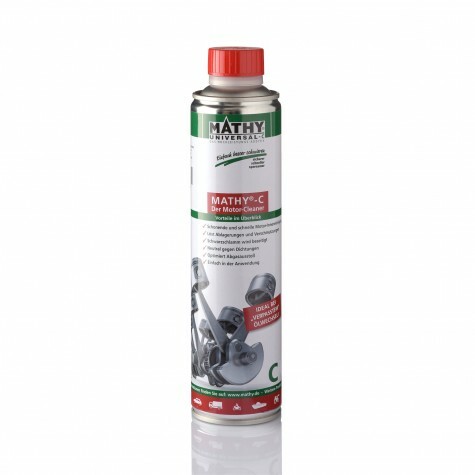 The combination of chemical ingredients has cleaning, dispersing, material protecting, and cetane raising effects which allow for a fast and economical removal of deposits. MATHY–D works against the creation of bacteria, thus preventing microbiological contamination of the fuel. 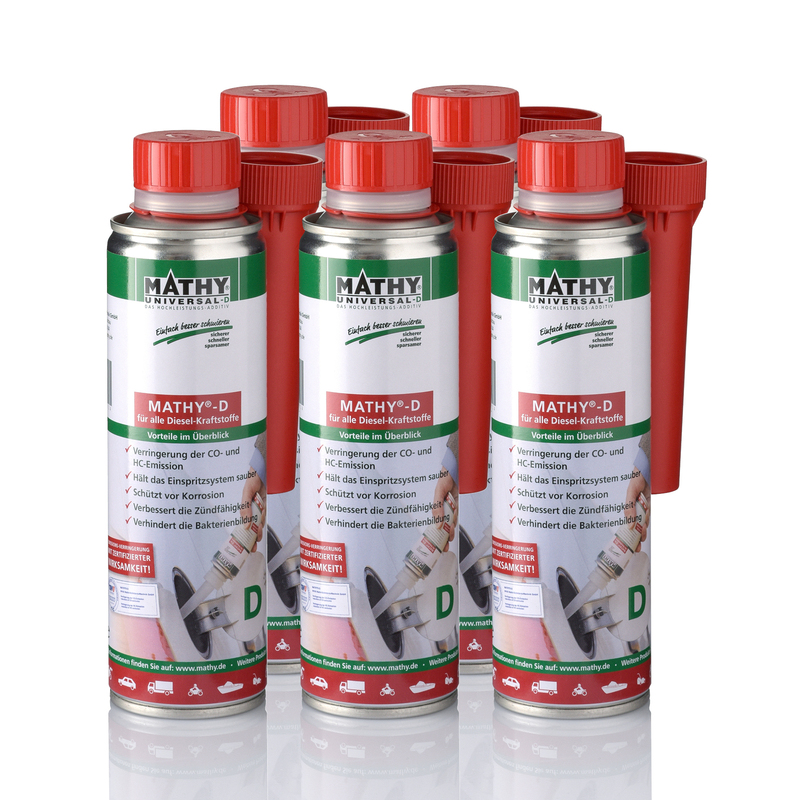 Content of can (250 ml) is enough for up to 60 L of diesel fuel containing up to 10 % of biodiesel (this is standard diesel fuel). 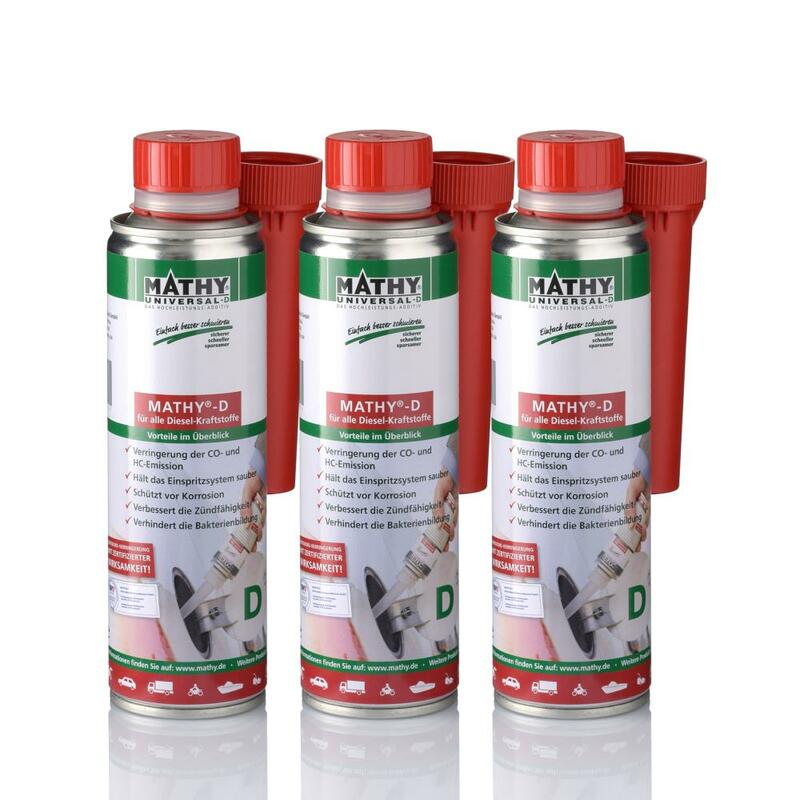 Just fill content of can into fuel tank. For best results with regard to cleanliness of injection nozzles and protection against corrosion, apply MATHY–D every 3,000 km. 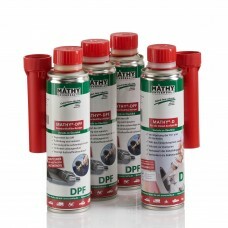 For elimination of acute problems add MATHY–D with every refill over a distance of 2,500 km. 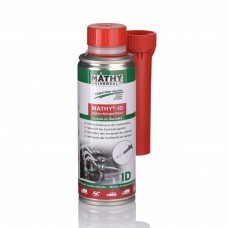 Note: When adding MATHY–D, the amount of fuel in the tank should be at least equal to the reserve quantity. 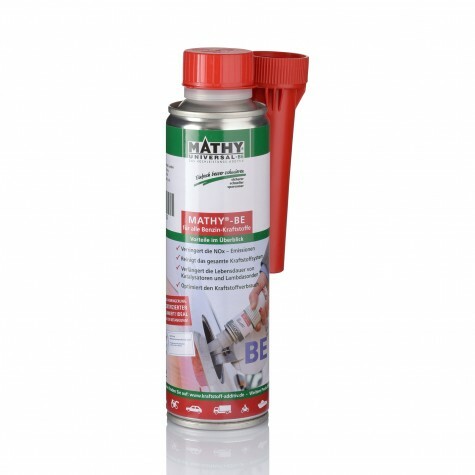 MATHY® Shop is Trusted Shops certified for excellent quality.